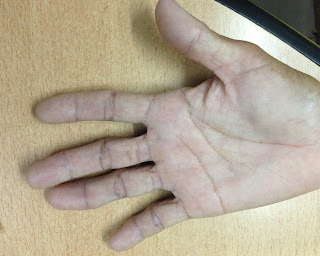 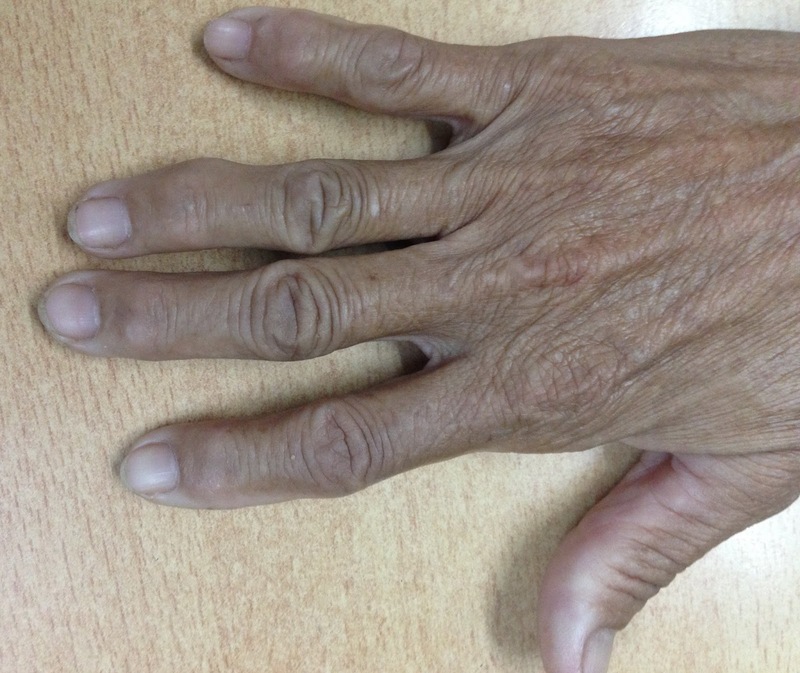 Woman 54 yo, 4 months ago detected one mass, at 4th finger of right hand, slow growth, no pain, no disturbing movement.of this finger (see photo1, 2). 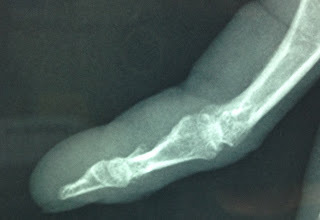 X-Rays of AP and lateral views of 4th finger = bone is normal but periosteum changing this mass to a soft tissue tumor ( xrays 1, 2). 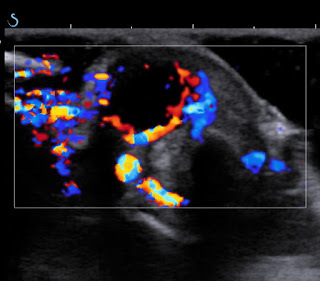 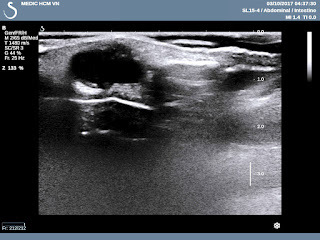 Ultrasound scan of this mass is hypoechoic like a cyst of lateral finger, from the tendon, size 3 cm of length (US 1). 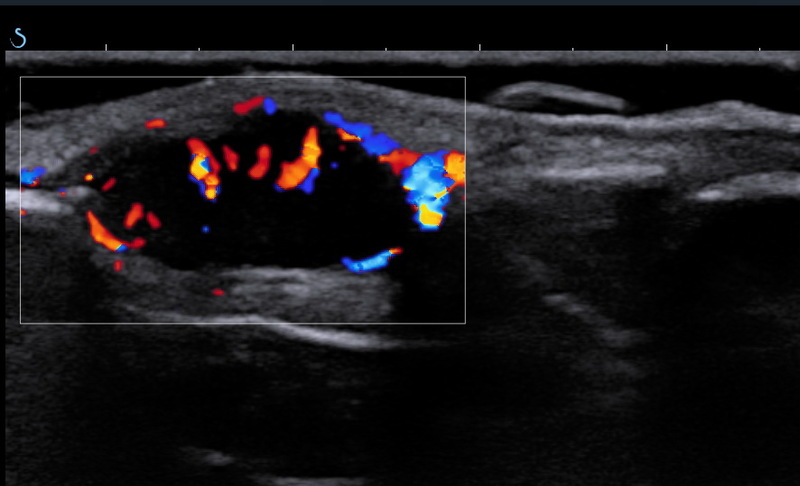 US 3 crossed section of the arround vascular tumor. 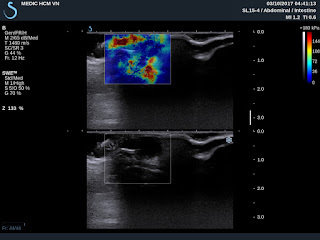 US 4 mass is soft on elastoscanning , arround 30 kPa. MACROSCOPIC REPORT BY SURGEON LOOKED LIKE XANTHOMA, BUT MICROSCOPIC REPORT IS GEANT CELL TUMOR of TENDON SHEATH.